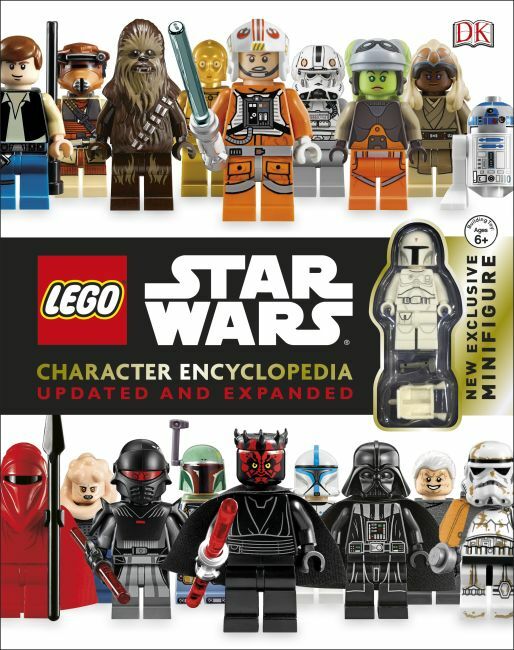 A New York Times bestseller and USA Today Best-Selling Book, this updated guide to the LEGO® Star Wars™ universe comes with an exclusive Boba Fett minifigure and 72 new pages of minifigures and facts. StarWars.com says, "DK Publishing's fan-favorite tome on the minifigures of LEGO Star Wars is back-with some Han Solo-worthy special modifications." LEGO, the LEGO logo, the Brick and Knob configurations and the Minifigure are trademarks and/or copyrights of the LEGO Group. ©2015 The LEGO Group. All rights reserved.